Lois McMaster Bujold is best known for science-fiction not fantasy, To date she has won four Hugo awards and at least one Nebula awards. She is best known for the Vorksigan saga. Her first foray into fantasy was the book "The Spirit Ring" which she wrote "on speculation." After shopping it around, to no avail, her primary publisher Jim Baen bought the rights on the promise that she'd continue to write more Sci-Fi Vorkosigan sagas. As it turns out Mr. Baen was correct with his deal as the Vorkosigan books sold quite well, while "The Spirit Ring" has mediocre sales at best. It was another decade before Ms. Bujold attempted a fantasy yarn again in the form of The "Curse of Chalion"; this time Ms. Bujold decided to combine fantasy and romance and had an instant hit on her hands. 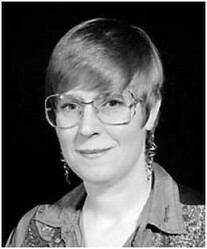 Ms. Bujold burst onto the writing scene in 1986 with her first published work "Shards of Honor," a science fiction work about a female astronomical survey star-ship captain named Cordelia Naismith. While surveying a newly discovered planet, she and her crew are attacked in camp. During the assault she is knocked unconscious and awakes to find all of her crew missing, but in the company of an injured colonist from Beta planet and another man, Captain Lord Aral Vorkosigan of the planet Barrayar. By this point in the Bujold story-line Lord Vorkosigan is known as the "Butcher of Komarr;" another planet in Buljold's constellation of colony worlds. Ms. Naismith eventually finds that Lord Vorkosigan is not only not a butcher, but a man she would partner well with. Captain Naismith and Lord Vorkosigan fall in love and marry. Miles Vorkosigan, the character Ms. Bujold is best known for, is the son of this union. Ms. Bujold has long wanted to write fantasy, though she has received numerous awards for her science fiction works. To date she has won four Hugo awards and at least one Nebula award. Any reader familiar with the Science Fiction genre knows that these awards are hard-won and quite prestigious. "Spirit Ring," as mentioned above did not do well. Ten years later the first of the "Chalion" series, "The Curse of Chalion," was nominated for a Hugo award though it did not win. The second in the series, "Paladin of Souls," won The Hugo, Nebula and Locus Fantasy Awards. Finally, "The Hallowed Hunt" was nominated for a Hugo, but did not win. Of course this proved beyond any doubt that Bujold can write science fiction or fantasy equally well. In 2006 she began "The Sharing Knife" series, writing one book for each year. This series met with mixed success. This is a four book series based on a vague form of magic that the practitioners call "groundwork2." In this particular universe the world is pretty clearly Earthlike, but it is unknown what century. As with her science fiction, Bujold is masterful at telling a story and giving a general feeling of the "time" it occurs in without ever actually numbering a year. As such the story could be taking place in the far past, or in a post-apocalyptic future where most technology has been forgotten. Once the reader has entered this realm place matters not time. "Ground", by the Bujold definition, is a sort of life-force that emanates from all things both living and non-living. In this "sharing knife" universe there are two classes of people who steadfastly keep themselves apart from one another; lakewalkers and farmers. Lakewalkers are an apparently nomadic people who are aware of and work with "ground-force." They are self-appointed guardians of humanity who work against a force of evil called "the malice." A malice springs from the ground and almost immediately begins stealing the life-force or "ground" from all living things around it. In the process it is also capable of exerting a type of mind control on those living things. It’s only purpose seems to be to take over more “ground” as its power and mobility are expanding. In the process of this expansion a malice drains the life-force or "ground" in every larger areas around its epicenter. Lakewalkers live in camps composed of makers; metal-smiths, leather-crafters, horse breeders, weavers, and so on. Then there are the "malice" scouts called patrollers. In this world the knife, and the bow and arrow are common, but gunpowder is unknown. The makers supply the patrollers with all the tools required to dispatch malices. Patrollers are the mobile soldiers who seek out and destroy malices. Because lakewalker patrollers are aware of and have the ability to control "ground" they are able to approach a malice without immediately suffering the effects of mind-control; though if they remain near a malice long enough for it to penetrate a patroller "ground-shield" a take-over of thought is possible. In the story line ten makers are required to support one patroller, thus a rather large support system is required. A "farmer" is a human being who is unaware and incapable of detecting or making use of "ground" though they themselves have that life force. They have the same "maker" abilities as the support network of lakewalkers. Farmers primarily settle into areas where they grow crops, raise livestock and in larger towns make glass, iron, steel, cloth, ink & paper. Farmers are clearly learning more and more and creating new technology as they settle and expand. Lakewalkers set themselves apart from Farmers due to continued misunderstandings between the two groups. In this unnamed past, farmers have settled lands lakewalkers have formerly had free access to. They have also killed lakewalkers out of fear of their magic. Lakewalkers, for their part, avoid farmers because farmers cannot control their "ground projection." This, in turn, causes a great deal of distrust from farmers because they know so little about lakewalkers. As with real-life situations, knowledge abhors a vacuum and rumor, innuendo, and wild speculation fill farmer knowledge gaps. In a way the same is true for lakewalkers. Because there are two very firmly separated societies here there is an immediate and seemingly permanent tension between the two groups of humans. The setting is a time where the making of iron and steel are known, but there are no machines beyond printing presses. The technology is roughly equivalent to that of the 1800s. No steam power or automotive technology exists; motive power is via animal, flat-boat, or sailing ship. The only projectile weapons are a thrown knife of a loosed arrow. Gunpowder and guns are never mentioned or used. Fawn is a farmer girl running away from home due to an unexpected and unwanted pregnancy. It is not Fawn who does not want the child, though she is unfamiliar with motherhood and only just suspects that she is carrying a child. The father is betrothed to another and threatens to expose Fawn as a "loose woman." Fawn is strong willed and bright, however, and decides to leave her village without telling her family. Convinced that she can make her own way, she sets out to Glassforge, a town a number of days from her homestead. There she has decided she will recreate herself, have her child, and become a functional member of this home. On the way she is accosted and kidnapped by two bandits, one of which seems to know she is pregnant. As it happens Dag Redwing Hickory has been tracking the bandits too and suspects there is more involved here than mere material robbery. Dag has been tracking the robbers because one of them looks like a "mud-man3." As it happens Dag is right and after Fawn is hauled into a shallow cave Dag follows and finds Fawn literally face to face with a malice. The malice has ripped the “ground” of Fawn's unborn child, killing it, and she is very close to having her own "ground" ripped from her; a deadly situation. This, not food, is the malice’s sustenance. Dag tosses her a sack of two knives created just for this sort of confrontation and she stabs the malice, first with the wrong knife and then with the prepared knife. The malice turns to dust and the captive humans and mud-men scatter in confusion now released from the malice's mind-hold. Dag and Fawn leave the cave and Fawn has a miscarriage. Dag nurses her through this with his magic ("ground-setting") and they eventually return to her family farm where she can recover fully. In the process Dag and Fawn become much more familiar with each other as people. She becomes entranced with his good looks and "plain sense," and he entranced with her quick wit and intelligence. Once at the Bluefield homestead, Dag is met with downright hostility and anger by Fawn's family. Lakewalkers and farmers do not associate beyond the limited needs of commerce. Dag is welcomed into the home only because he has saved the errant daughter's life, but the farmer family has a set of preconceived notions about Lakewalkers, some of which include the suspicion of cannibalism and black-magic. Dag realizes that the two societies cannot continue to exist so apart from one another. Both populations are growing and the need to track down and dispatch malices will depend on mutual collaboration between both groups. Also farmers are creating technology that could replace “ground” magic. Dag determines that despite any enmity, they must get along. Of course Fawn and Dag become infatuated with each other and the book ends with a farmer/lakewalker marriage. Dag and Fawn then set out to Hickory Lake Camp to let his family know of the union. Legacy picks up where Beguilement left off. Published in 2007 the story follows Fawn and Dag on their trip to Hickory Lake. Dag has taken the last name of his bride, a lakewalker custom, and is now calling himself Dag Bluefield. Of course once they make Hickory Lake Camp the name change is the least of Dag's problems. Most lakewalkers resist any more than passing association with farmers. For this reason Fawn is viewed by most with a great deal of apprehension and suspicion. Dag's own family rejects the marriage outright and Dar, Dag's younger brother and a knife-maker, challenges the marriage before the nine member camp council. Neither Dag nor Fawn are about to let a ruling against them destroy the marriage and they jointly determine to stay together no matter what the ruling. In an odd twist banishment is not meted out, rather a split decision results when four vote against Dag and Fawn, four vote for the couple, and one abstains. Dag is denied his due share of camp goods, but the couples are not banished. Dag and Fawn decide to leave the camp anyway as Dag's "ground-setting" powers are increasing and causing him some extreme worry. The couple sets out to find someone who will help teach Dag more about his powers and Dag is determined to bridge the gap between farmer and lakewalker feeling certain they were one people in the distant past. Of course there are more encounters with malices and a surprising variety of people, both lakewalker and farmer. Published in 2008 “Passage” is the immediate follow-on to Legacy. In this book Fawn and Dag determine to travel south along Grace River toward the gulf of a great ocean. They first stop off at the Bluefield farm where Whit, Fawn's youngest brother, greets them (unexpectedly) with open arms. As they stock up on supplies Whit provides Fawn with her own horse, named Magpie. Dag has had his own horse all along named Copperhead and Whit brings a small string of ponies along to sell. As Whit, Fawn and Dag make their way to the Grace River they are joined by another companion named Hod who seems to be a simple minded petty thief. During the night Hod approaches Copperhead to steal food from Dag's saddlebags. Though it's night, Dag's "ground-sense" tells him Hod is approaching the horse and Dag decides to let Copperhead deal with Hod. The result is a disaster as the horse shatter's Hod's kneecap. Dag, feeling guilty for not interceding, heals Hod's knee with "ground-setting," and determines that Hod's overwhelming hunger is caused by a tape-worm. Dag heals both problems and finds himself stretched to the very limit of his powers. It also frightens him when Hod becomes besotted with Dag as a result of the magic. Dag has now discovered why lakewalkers avoid healing or contacting farmers; beguilement. This he learns later is a problem no lakewalker medicine maker has ever successfully dealt with and it is at the very root of the separation of the two types of humans. Hod continues to haunt Dag with a Münchhausen syndrome by repeatedly hurting himself so Dag can do more ground-setting. When they finally reach the river they hire a woman flat-boat boss named Berry and quickly befriend her. Two other patrollers join the party and the flat-boat quickly becomes fully crewed with Dag and Hod acting as oarsmen and Berry at the tiller. In the process Dag is even more astonished and worried about his powers, even though he manages to convince many farmers and lakewalkers alike that the separation between the two peoples need not last. The protagonist is especially successful at convincing non-lakewalker types that lakewalkers are human, do no practice black-magic, and can be good people to know. By the end of the novel Whit, Fawn's brother, and Berry, the boat-boss, are married. In the process of writing the book Lois McMaster Bujold wanted to tell a realistic story of river-life prior to the mid-eighteenth century. This means passage was always down river due to the lack of steam or other powered water-craft. In that effort Ms. Bujold read “The Keelboat Age of Western Waters” by L.D. Baldwin, “Old Times on the Upper Mississippi” by George Byron Merirck, “The Adventures of T.C. Collins” by himself, and “A-Rafting on the Mississip'” by Charles Edward Russell. By studying these reference works Ms. Bujold manages to add a very rich and detailed account of the trip downriver. The final of the tetralogy, The Sharing Knife, “Horizon,” was published in 2009. Now that Dag and Fawn are at the southern ocean they decide to stay for a while. During the day Fawn asks around for a powerful “ground setter” and finds one in Arkady New Moon. Arkady invites Dag to the New Moon Cutoff camp, but he and Fawn are met with the same skepticism they found back at the Hickory Lake camp, though Arkady convinces the camp council to at least allow Fawn to assist Dag in both his instruction and healing training. Dag convinces Arkady, by demonstrating how to un-beguile someone, that lakewalker medicine makers should be allowed to heal farmers. This meets with even stiffer resistance from the camp council. All of them leave including Arkady. Leaving New Moon cutoff they decide to travel "The Trace" back toward Fawn and Berry's homeland. Along the way they meet more adventure, slay more malices, and determine that farmers and lakewalkers can indeed peacefully coexist and help each other. Dag's dream of close cooperation is taking root and the story closes on Fawn nursing she and Dag's first baby; a girl. Julie Bell has illustrated at least one hundred (100) book and magazine covers since 1990. This includes album cover work for Meat Loaf (Bat out of Hell III: The Monster is Loose). I have placed a graphic of the two first book covers side by side so you can see the overall effect of this work. Ms. Bell must read the stories before attempting a painting as each cover coincides exactly with some segment of each story. For those of you who are familiar with Bujold's science fiction work you may be initially disappointed. The language and situations are somewhat reminiscent of Mark Twain's characterizations with a bit of the flair of the wild-west. In prose, they are nothing like the Vorkosigan series. Yet the storytelling, characters, and situations are just as engaging as with her science fiction works. Bujold creates believable worlds with rich scenery, handsomely developed characters (even the quiet Dag), and engaging plots. The story telling is as engrossing as any of Ms. Bujold's other works. By the end of the first book, I no longer felt that I was reading fantasy; indeed by the end of “Beguilement” I did not feel that I was reading fantasy at all. There were no knights, witches, dragons or sorcerers; or at least not sorcerers of the Camelot variety. Each chapter had me yearning to read the next. As with all of her other works, I lost more than one night’s sleep over an engaging yarn. I'm leaving an absurd amount of information out. Particularly why the knives are called "sharing knives," but if you read the series their meaning will become immediately clear. As always it's the characters that really move the story along. Her scenic descriptions were rich and near photographic and the travel by animal and water richly detailed and interesting. One may even find themselves yearning for simpler times. It sounds interesting. Thank you for the reviews!